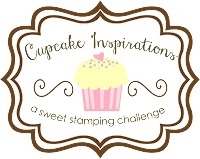 Welcome to my stop on Shake it Up Blog Hop! If you landed here from Narelle’s blog you are in the right place, but you can always start at the beginning of the hop here. Today’s hop features “wiggle, jiggle, slide, roll, flip or fold” projects by the Connie Can Crop and Friends Blog Hop group and we have some… Continue reading Shake It Up Blog Hop!